On Saturday Oct 20, troop backpacked from Turner’s Gap to Greenbrier State Park. The groups started hiking down the trails at different times of departure. each group had selected navigators and a pair of adults. The plan was to hike all the way to the Washington Monument to eat lunch then quickly hike the rest of the way to our campsites. Water breaks were frequent to keep scouts hydrated and to recharge before continuing the trail. The first group lead by Kenneth and Evan arrived at the Monument, but decided it would be best to hike closer to the campsite because they’ve already eaten their lunch earlier before. The temperature wasn’t that cold as scouts expected it to be, because many have stopped to take off their layer of clothing. 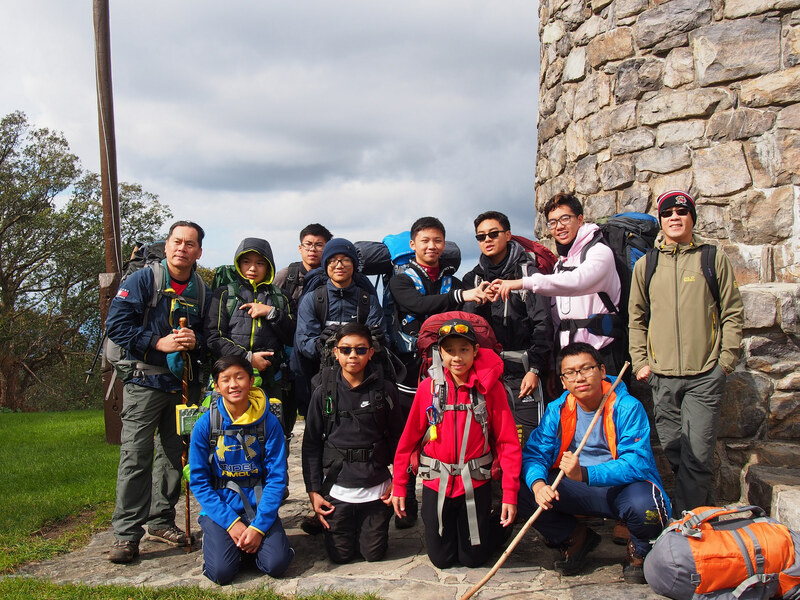 During the hike to the campsite, the first group was passed by the second group lead by Ben and Chan Toan. This happens again vice versa later down the trail. When the groups reach the campsite, older scouts immediately start setting up stations where they then can teach the younger scouts. These stations include how to use a portable stove, how to filter water, and how to use pocket knives, saws, and axes safely. The day ends with dinner and a campfire everyone enjoyed with games and skits.